Officials with the South Carolina Maritime Museum have announced an expansion which will allow the museum to offer more displays and programs. From left are Lee Talbot, board member, Johnny Weaver, board president, Dwayne Vernon, architect, Robert “Mac” McAlister, museum director, and Susan Davis, board member. The only all-encompassing maritime museum in South Carolina, located on Front Street in Georgetown, will soon offer more exhibits, programs and space for events. Officials with the South Carolina Maritime Museum announced Thursday, Sept. 22, that, with a low-interest loan from the U.S. Department of Agriculture, the museum has purchased the upper floor of its current building, as well as the adjacent parking lot and four boat slips in the Georgetown Harbor behind the building. Affiliated with the Harbor Historical Association of Georgetown, the museum board purchased the bottom floor of the building in 2011 and has been operating there since December of that year. With the additional floor, the museum will have about 9,000 square feet of space, said Johnny Weaver, president of the museum’s board of directors. He said the half-million-dollar renovation project, including the installation of an elevator and new stairway and renovations to the top and bottom floors, should start at the beginning of November and be completed in about six months. The museum will stay open throughout the construction. He said the museum board wants to continue and expand its Junior Sailing program in the summer and add programs to increase community involvement. Board member Susan Davis agreed, saying it is all about innovation, moving forward and offering more. Weaver credited board member Lee Talbot for helping with paperwork to attain the USDA loan and Tee Miller for advising the board to apply for the loan, as well as how to “push through the channels.” He also praised architect Dwayne Vernon for his work in planning the renovations. The USDA loan will be paid off using donations and money raised during fundraising events, the biggest of which is the Wooden Boat Show, a three-day event set for Oct. 14 to 16 on Broad and Front streets. It includes wooden boat exhibits, a boat-building contest and race across the Sampit River, as well as games and activities. 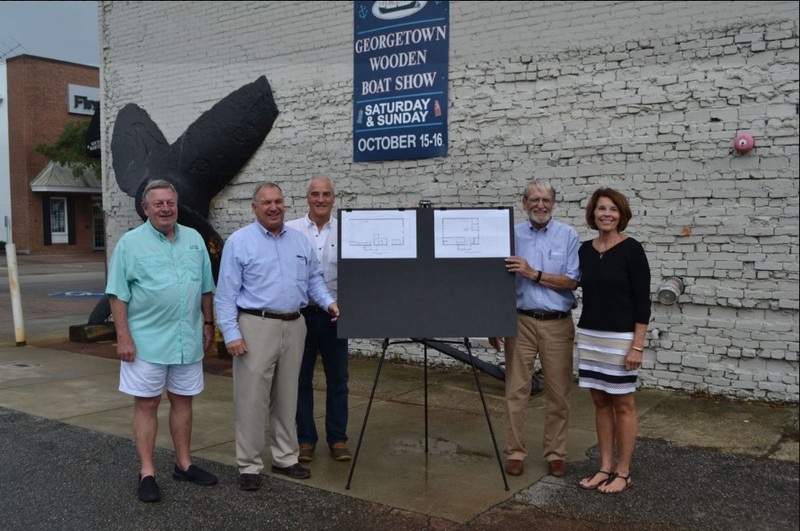 “The Wooden Boat Show has grown to become a major event for us and the city of Georgetown,” Weaver said. Museum Director Robert “Mac” McAlister said the museum building was formerly a McCrory 5 and 10 store. It was updated in 1940 and later became an appliance store called the New Store. It sat empty from 2000 to 2011 when the museum moved into the building. He said the museum will add some interesting exhibits when renovations are complete. That model, which will be about 4 feet long, was designed by Ed Scott of Georgetown and is being built by Bill Brady of Pawleys Island. McAlister said Brady also built the Browns Ferry Vessel and Oyster Sloop models displayed in the museum. “We think the museum expansion is going to help us to accomplish our mission of educating adults and children about maritime subjects,” McAlister said. For more information, call the museum at 843-520-0111, or visit www.scmaritimemuseum.org.